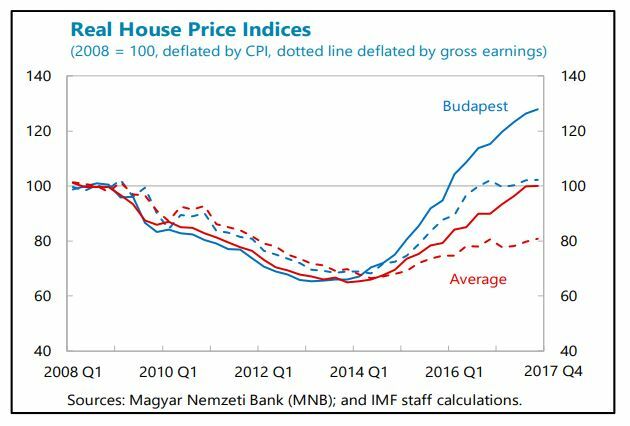 “Hungarian housing prices have increased rapidly since 2014, but from a low level. House prices began to increase in the Budapest area, but have spread to other cities and more recently to municipalities. According to the MNB’s and European Systemic Risk Board’s (data for the latter are as of Q3 2017) estimates, average prices are not yet excessively overpriced compared to fundamentals. 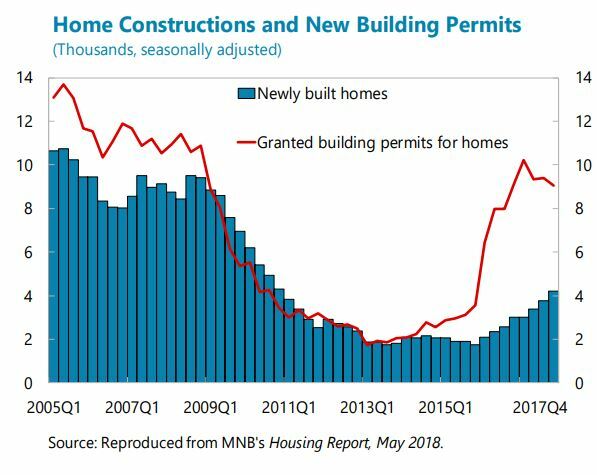 The number of transactions has begun to stabilize, possibly due to labor shortages and increasing construction costs, which, according to market observers, frequently delay the completion of new dwellings by 6–12 months. The housing boom has been driven by many factors other than credit. Delayed purchases following the global financial crisis as well as fiscal initiatives have contributed to the boom. For instance, (i) young families committed to have three or more children can receive a grant and a subsidized loan to purchase a home; and (ii) the VAT rate on sales of certain new dwellings has been temporarily reduced from 27 to 5 percent during the 2016–2019 period. Moreover, low interest rates have made real estate investments more attractive. The MNB’s mortgage bond purchase program may have further supported the market. Finally, the MNB-certified consumer friendly housing loans introduced in 2017, has helped level the playing field, lowered borrowing costs, and encouraged fixed-rate lending. The stock of loans for house purchases increased by 6.8 percent (y-o-y) in May 2018. Nevertheless, according to market observers, only about 45 percent of transactions involve borrowings. Moreover, household debt in Hungary remains low compared to peers. It is also almost completely denominated in local currency, but a substantial share remains variable-rate loans.